Disconnect, tag, lock out AC power before working on the VFD. Verify that there is no voltage present at the AC input power terminals. It's important to remember that DC bus capacitors retain hazardous voltages after input power has been disconnected. 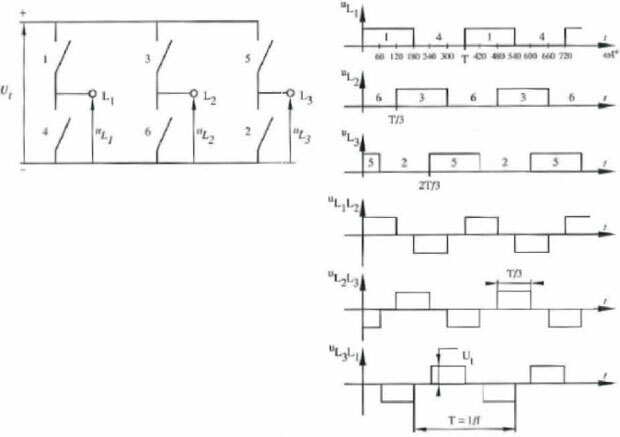 Therefore, wait 5 minutes for the DC bus capacitors to discharge once power has been disconnected. Check the voltage with a voltmeter to ensure that the capacitors have discharged before touching any internal components. LEDs provide a quick indication of problems. Normally, a steady glowing light means everything is running properly. Flashing yellow or red lights indicate a problem with the VFD that should be checked. Consult the operator's manual for the specific VFD to determine what a particular flashing light means. Alarms indicate conditions that may affect VFD operation or application performance. They are cleared automatically when the condition that caused the alarm is no longer present. Configurable alarms alert the operator to conditions that, if left untreated, may lead to a VFD fault. 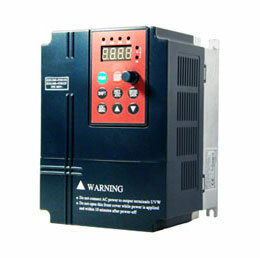 The variable frequency drive continues to operate during the alarm condition, the alarms can be enabled or disabled by the programmer or operator. Nonconfigurable alarms alert the operator of conditions caused by improper programming & prevent the VFD from starting until the problem is resolved. These alarms can never be disabled. Fault parameters settings indicate conditions within the VFD that require immediate attention. 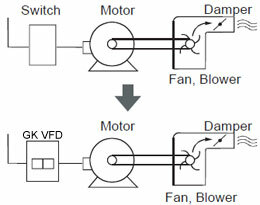 The VFD responds to a fault by coasting to a stop & turning off output power to the motor. Auto-reset faults reset automatically if, after a preset time, the condition that caused the fault is no longer present. The VFD then restarts. Non-resettable faults may require VFD or motor repair; the fault must be corrected before it can be cleared. User-configurable faults can be enabled & disabled to enunciate or ignore a fault condition. Fault queues normally retain a history of faults. Typically, queues hold only a limited number of entries; therefore, when the queue is full, older faults are discarded when new faults occur. The system typically assigns a time stamp to the fault so that programmers or operators can determine when a fault occurred relative to the last VFD power-up. A complete listing of all the different types of faults & the appropriate corrective actions can typically be found in the user manual for a specific VFD.